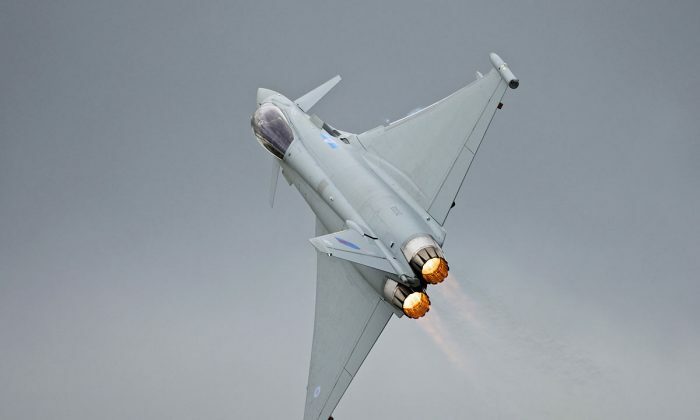 British fighter jets were sent to intercept Russian planes that were flying in an “aggressive” manner toward the Baltic countries, the United Kingdom’s defense secretary said on Friday. U.K. RAF Typhoons were scrambled from their base in Estonia to obstruct the planes that were approaching Estonia, Latvia, and Lithuania. In all, three Russian transport military aircraft were intercepted, the defense ministry told RT.com. Russia has said that its “flights are in accordance with international” standards, RT said. The British jets took off from Amari air force base in Estonia. The Russian planes, as identified as the U.K. military, were a AN-26 Curl, an AN-12 Cub, and an IL-76 Candid. The Russian planes didn’t respond or transmit the recognized identification code, U.K. officials said. Defense Secretary Michael Fallon described it an “act of Russian aggression,” reported The Independent. The Baltic Air Policing Mission is a NATO plan where members help one another police their respective air spaces. An RAF pilot involved in the mission issued a statement, which read: “The scramble went exactly as planned. “We launched our Typhoon aircraft quickly and then using our advanced sensors and mission systems, combined with support from our battle space managers on the ground, carried out textbook intercepts of the three aircraft,” he told SKY News. It was the third time that RAF jets have taken part in the BAP mission, SKY reported.